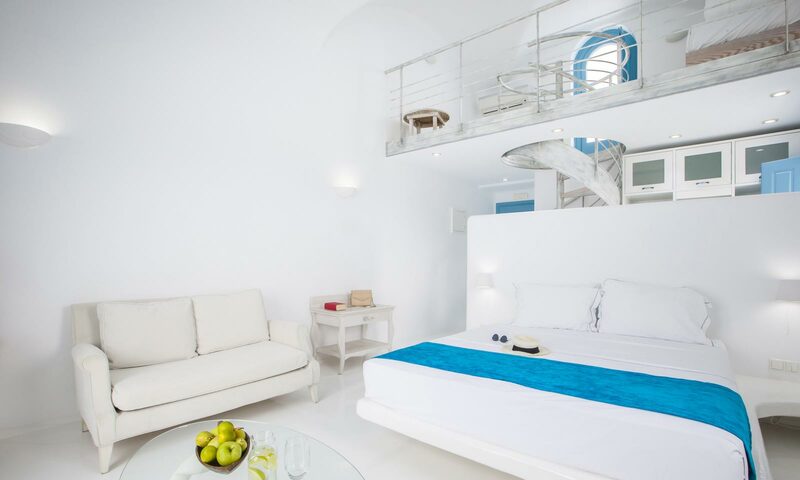 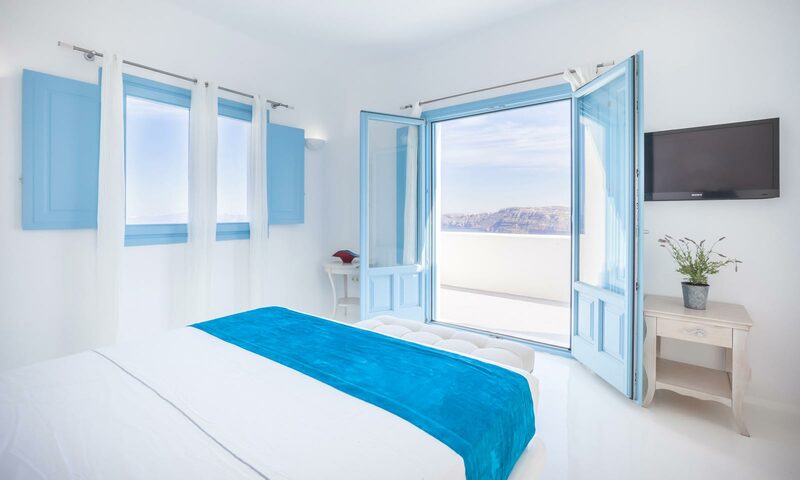 Inspired by the sky, the sea and the white of their tranquility our suites have been designed with soft textures and fabrics for comfort and have incomparable views. 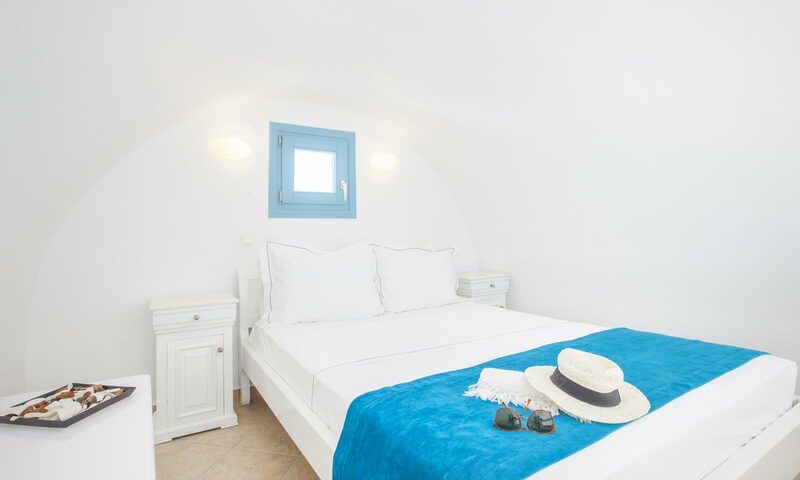 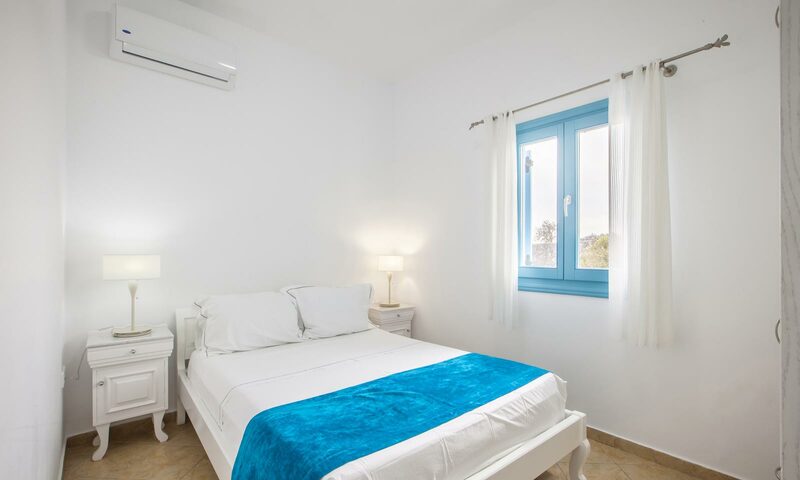 Floors are laid with cement paste, a classic feature of Cycladic architecture, and the wooden windows come from the local traditional manufacturer of Santorini maintaining the cultural heritage of the island. 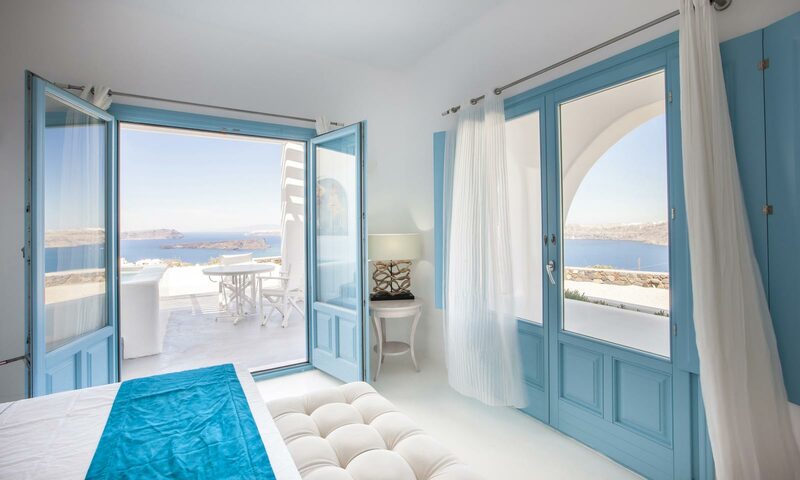 Did we mention the astonishing view of the Caldera, and the iconic Santorini sunset?